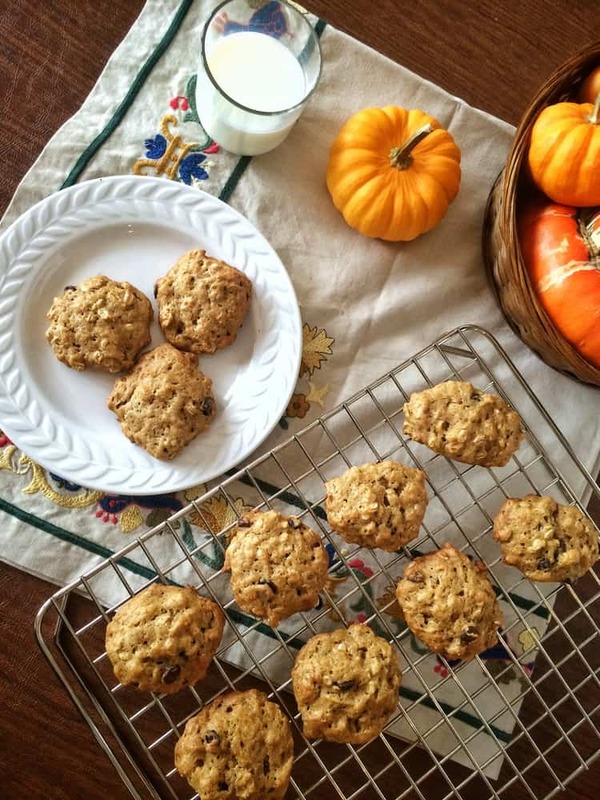 These are THE cookies you want to make this Halloween, or any time of year quite frankly. 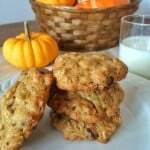 I have been making Pumpkin Oatmeal Chocolate Chip Cookies for about twenty years now, usually only on Halloween. But since they have become my children’s favorite cookies I need to make them year round. Can you tell by the stained and bent index card? Not only do my kids request them but I need to provide enough in my daughter’s lunch box for her to share with friends. I’m having difficulty keeping the cookie jar stocked! 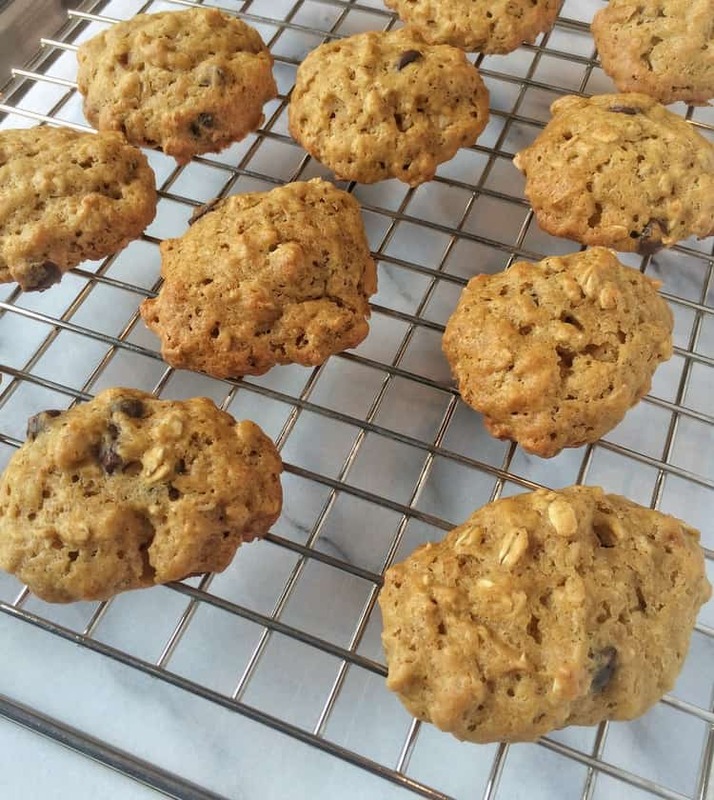 These cookies are nut free and therefore are perfect for the kids’ lunch boxex. 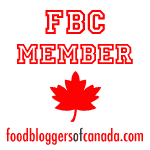 In my previous post (Preparing for Hibernation), I shared with you some of my techniques for freezing and canning some of my garden vegetables as well as pumpkins and apples that I’ve purchased. This is what I usually make with the pumpkin purée that I freeze. Until last year, I always used canned pumpkin purée to make the cookies, but I finally come around and processed my own fresh pumpkin. My freezer is now stocked with pumpkin purée in freezer bags in 1 cup portions so I always have the ingredients at hand to make these cookies. So what’s not to like about these cookies? They are soft and chewy, they have oatmeal in them (so they’re healthy, right? ), they’re chocolaty and no one will ever know that they have pumpkin in them unless you tell them! 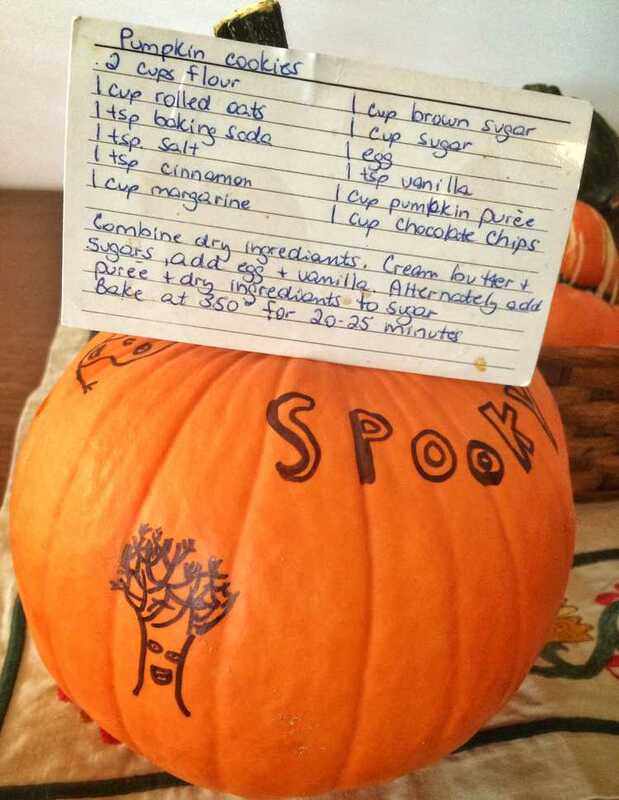 You really can’t taste it and you can’t see it so if you have finicky eaters, don’t tell them about the pumpkin! 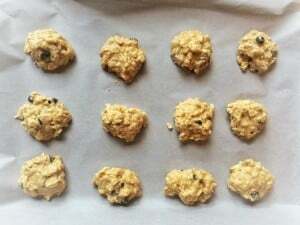 When the kids were younger, instead of stirring the chocolate chips into the batter, I would let them place the chocolate chips on top of the cookie batter in a happy face formation. But we’re past that stage and now I just stir them into the batter. But if you have younger kids that you’d like to involve in the baking process, this would be a fun task for them. The original recipe calls for 1 cup each of granulated and brown sugar. I tend to decrease the amount of sugar in most recipes and therefore I only use 3/4 cup of each. Then again, I don’t have much of a sweet tooth so I’ll leave it up to you to decide whether or not you keep the full amount of sugar or not. 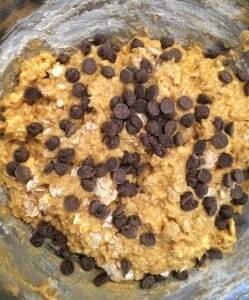 Remember, the chocolate chips also add sweetness. This recipe makes about 3 dozen cookies. But, I’m warning you, they will not last long so you may as well double the recipe right away! If you give it a try, let me know how they turn out. You can also tag me on Instagram with #mangiabedda so I can see your beautiful cookies. Enjoy! 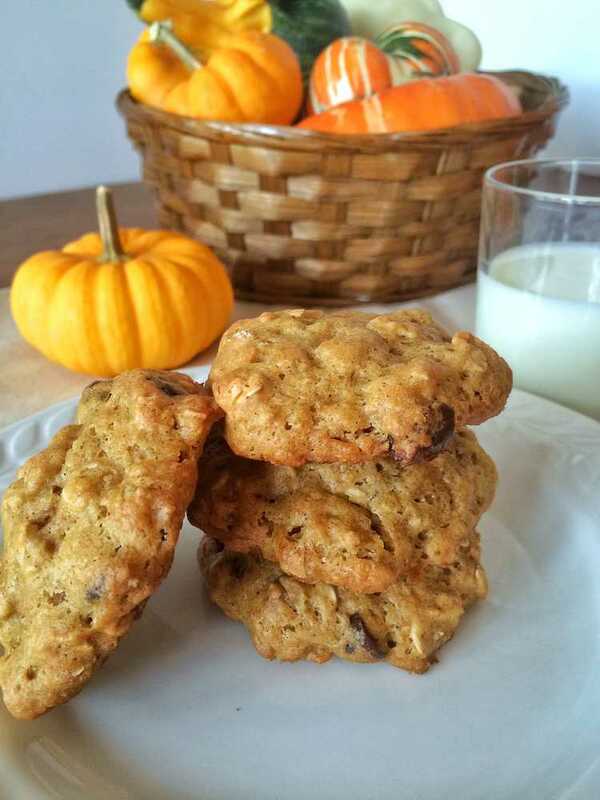 These are simply the best pumpkin cookies you'll ever make and they'll be gone in minutes! A favorite around Halloween time. 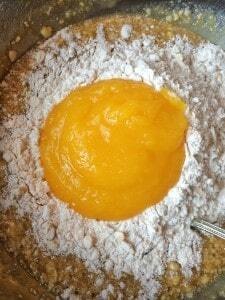 Combine dry ingredients (flour, rolled oats, baking soda, salt, cinnamon) in a medium sized bowl. In a large bowl, cream margarine and both sugars until smooth. Add egg and vanilla and stir. 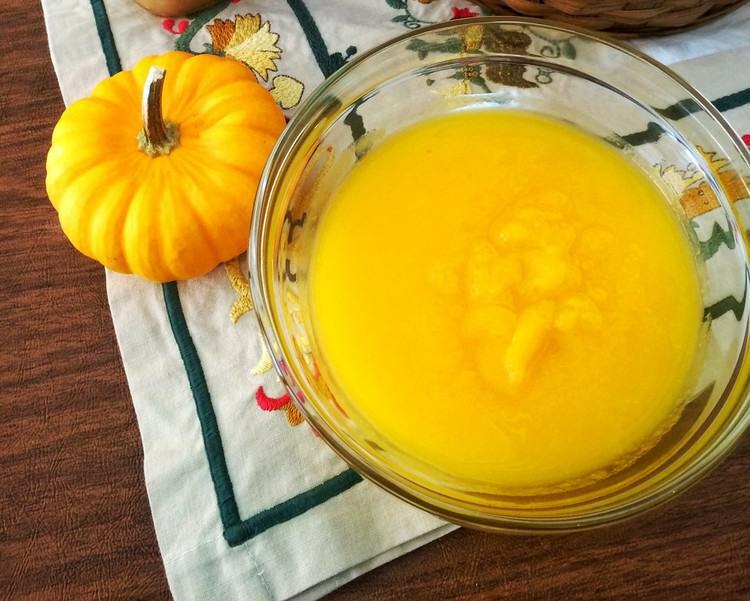 Alternately add pumpkin purée and dry ingredients to sugar mixture until well combined, beginning and ending with the dry ingredients. Drop by spoonfuls on a baking sheet covered in parchment paper. Bake at 350°F for 20-25 minutes. Any time Rosa. You'll love these cookies!